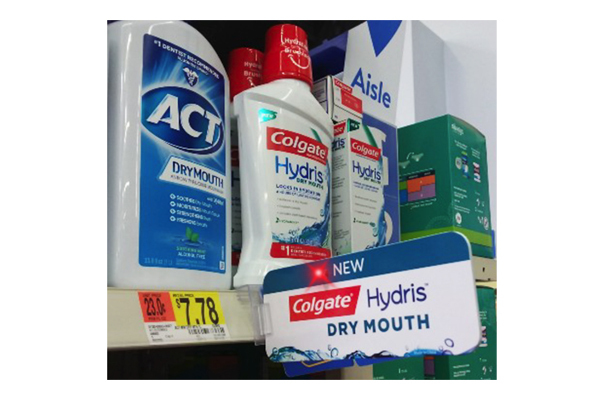 Colgate needed to draw shoppers’ attention to its new product, but had to work within a tight budget to support this new launch. 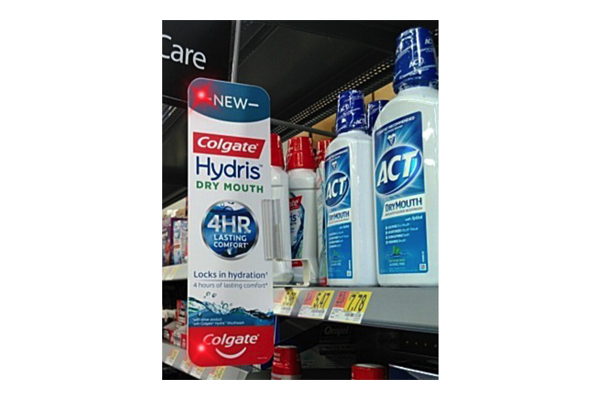 Americhip partnered with Colgate on our low-cost Opti Blades and Opti Signs which mount directly to the shelf and flash for more than 4 months. The Opti Blades make a bold statement given their 14” height and 4 blinking LEDs. The Opti Signs are perfect for tighter spaces as they are only 6” long x by 2.25” high. These sleek shelf units allow for eye-catching graphics and attract consumers coming in either direction with flashing LEDs on both sides. By adding our motion sensor trigger, you can capture the attention of every consumer passing by your product with even a modest budget. Grab attention and get consumers to stop and shop with Americhip’s Opti Blades and Opti Signs.